Cine Gear Expo 2018 is the premier annual event for professionals engaged in the technology, entertainment and media industry. Tilta will be attending and exhibiting at the show on June 1st and 2nd at Paramount Studios in Hollywood, California. 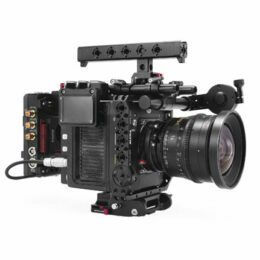 Tilta will be exhibiting exclusive content, including the Nucleus-M Wireless Follow Focus System, Gravity G2X Handheld Gimbal, and much more.